"Why don't you just do it!" "You waste so much time playing video games!" It's so easy for parents and teachers to get down on students who procrastinate - they'll drive you nuts because it seems so simple: just do your work! Procrastination is an emotional self-regulation struggle, not a moral deficiency. Procrastinators aren't "lazy," "distracted," or "uncaring." What they suffer from is a deficiency in emotional self-regulation. What we mean by that is that they are not fully in control of their emotional responses to their academic workflow. So the worst thing we can do to a procrastinator is to call him or her "lazy." That only reinforces the procrastination. Instead, procrastinators need help to overcome the impulse to put off work that is causing them anxiety. Facing an "aversive" or unenjoyable or difficult task causes anxiety. 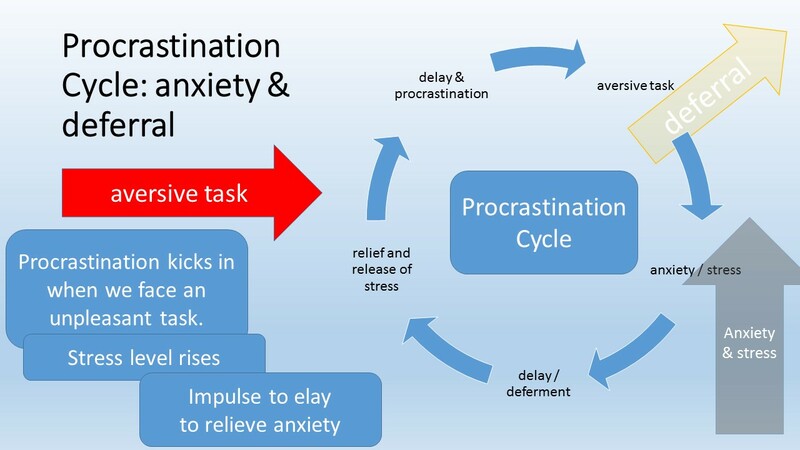 To dismiss that anxiety procrastinators defer the aversive task to later, which relieves themselves of the anxiety. By choosing to do something more enjoyable, the procrastinator resolves the anxiety caused by task aversion. At the A+ Club we work with students to overcome barriers and meet their academic potential. Very often this means overcoming procrastination. ← “Have you done your homework?” or what else a parent can do to build student academic independence?